Several of you have asked me to post a picture of the tarpon fly that worked so well in C.R. last October. Here it is. The top fly is what is left of it after fighting four fish. The bottom one is my attempt to recreate the original (although I forgot to add the peacock herl on the top). The fly is about 8″ long, tied on a 5/0 hook. 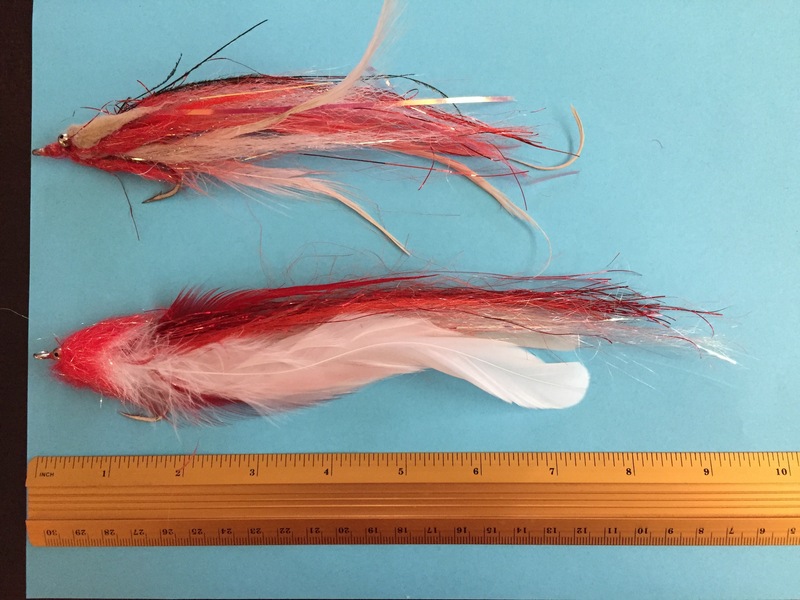 The body consists of white and red saddle hackle, white and red synthetic yak hair, and pearl and red flash. The head is white cross-cut rabbit fur overlaid with red senyo laser dub and extra large bead chain eyes.